Light colors and dry finishes don’t go along with most big beers, but that’s exactly what makes a Belgian tripel great. The road to homebrew heaven is littered with failed tripel attempts, but here’s your path tom salvation — use only light base malts and about 25% clear adjunct (sugar); pitch a big yeast starter and add some yeast nutrients in the boil to supply nitrogen to the yeast. Witbier. Wee Heavey. Tripel. Schwartzbier. Gueze. Eisbock. Dry Stout. Berliner Weisse. 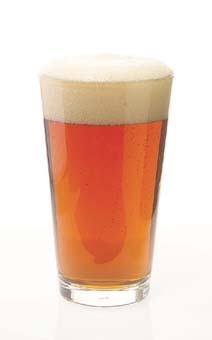 American Pilsner – are these the 10 most difficult styles for a homebrewer to pull off? They won’t be after reading our recipes and tips for success. It’s Brew Your Own’s Tenth Anniversary and we’re kicking off a year-long series of articles with our list of the 10 most approachable beer styles. A big Belgian tripel from a California brewpub originally brewed for Y2K. Here is my recipe for a spiced dubbel, not patterned after any one commercial example but rather an amalgam of several but with a bit of a twist. It is moderately strong, medium dark, spicy from both the yeast and the flavorings added. I recommend aging it well, trying it several different times over the course of a couple of years. In effect you will probably find that you have brewed several different small batches in one, as the flavors really evolve over time.